Using Google to perform searches on the Internet or a Pixel phone is a daily basic for many Canadians. Google is constantly working at expanding its products and some of its most recent ones are now available north of the border and coming soon. Here’s all about Google Wi-Fi and Google Home and how to use them. If you haven’t already caught wind of it, Google Wi-Fi is a wireless router set to simplify your home Wi-Fi network and help you to get the most out of it. The router launched in the U.S this past December, and the UK a few weeks ago. This past Friday it became available in Canada, at a price of $179 for a one pack or $439 for a set of three. Why use it instead of a router from some other company? There are a few benefits to using Google Wi-Fi. First of all, it works for you to always reach the best wireless signal around. The router does this using algorithms and “big data” to automatically switch your devices between two bands of signal, so that you’re optimizing what’s available. This allows your signal to navigate through congestion and interference, and gives you the best possible online experience. The router also allows you to set up different users in your home. You can have different profiles for different people, including kids, and set different parameters for each. So, if you’re trying to limit Internet usage after school, you simply program your kids as users, link the router to their devices and put a limit on their use. A third benefit to Google Wi-Fi is that it can prioritize users. If you do go ahead and make a profile for your kids or guests, you don’t have to worry about their online activity grabbing too much bandwidth and making for messy viewing on Netflix for the adults upstairs. The router also comes with a convenient companion app to give you full power to customize your network from anywhere around the globe. Trippy. How does Google’s own Ben Brown, San Francisco-based product lead, describe it? 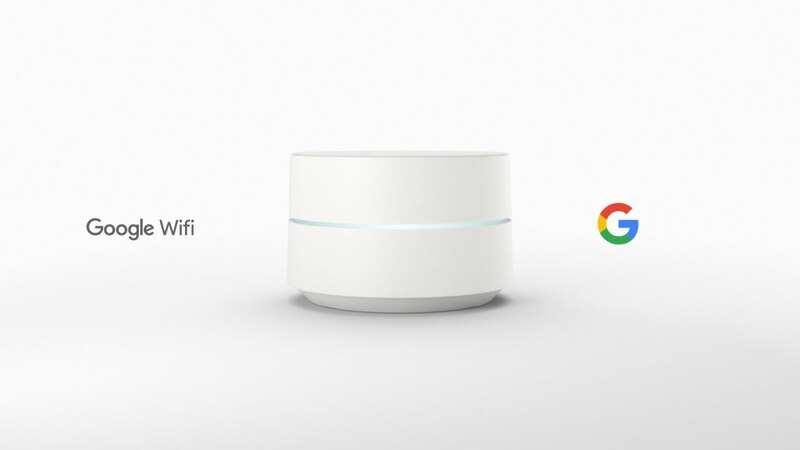 To order Google Wi-Fi, click here. Reports indicate that Google Home is almost available in Canada. While that sounds a little iffy, some reviewers in Canada have already purchased the smart speaker that acts like a personal assistant and are using it successfully. We remain hopeful that the device will be on our doorsteps soon. (FYI, the device launched in the U.S last November and in the UK this April, and so Canadian availability seems imminent). Why buy Google Home? It’s there to make life easier, and it’s a bit like having a secretary at your service in your own place. -control your smart home devices, like turning on and off the lights and adjusting room temperature…and so much more. Interested? Compare Google Home to its competitor, Amazon Alexa by clicking here. The race is on. I’ll never use a Google router.